These Sweepstakes from Best Buy, CMT, Gulf Oil, and Hamptons Lane are the online sweepstakes people are entering right now. Try your luck and enter for a chance to win great prizes like Fitbit Alta Activity Trackers, a trip to Panama City’s Pepsi Gulf Coast Jam, tickets a regular season home game of your favorite baseball team, and a 7-night trip to Paris, France. Starbucks For Life Rare Pieces: Getting any of these four Starbucks For Life Rare Pieces during the summer edition of the Starbucks For Life Game is your best chances to win free Starbucks coffee for a week, a month, a year or even your life! Best Buy has got a lot of FitBit Altas to give away. Want one? Tweet using #FitToWin and #Sweepstakes for a chance to win one of 80 Fitbit Alta Activity Tracker. Eligibility: Legal residents of the 50 United States and the District of Columbia (excluding Puerto Rico), who are 18 years of age or older. End Date: Ends at 11:59:59 p.m. CT on August 21, 2106. Limit: One entry per participant per day. 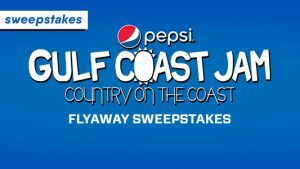 CMT is giving one lucky country music fan the chance to win a VIP trip to attend the Pepsi Gulf Coast Jam in Panama City Beach, Florida. The trip package includes airfare, hotel accommodations in a Penthouse Suite, VIP Side Stage Passes for the festival, dinner for 4 at Firefly Restaurant, and a lot more. Eligibility: Legal residents of the 48 contiguous United States and the District of Columbia (excluding Alaska and Hawaii), aged 21. End Date: All entries must be received by 11:59:59 PM (CT) on August 22, 2016. Know it out of the park! For a limited time, sign up for Gulf’s online shopping rewards program and automatically be entered for a chance to win tickets to a home game of your choice of the Boston Red Socks or New York Mets! Eligibility: Legal U.S. residents who are 18 years of age or older. End Date: Enter by September 2, 2016. Limit: Only one entry per household. If you always dreamed of visit France, this Sweepstakes is your chance to make your dream comes true! You could win a 7-night vacation for two in France including a 4-night stay at Chateau D’Esclimont, 3-night stay in Paris, French cooking class and much more! Eligibility: Legal residents of the 49 United States and the District of Columbia who are at least 21 years of age or older as of August 1, 2016. End Date: Concludes on September 14, 2016. Limit: No more than one entry per entrant will be accepted.